There's no one else as unique as she is. What better way to celebrate it than with this trendy horizontal bar pendant in 14k white gold. 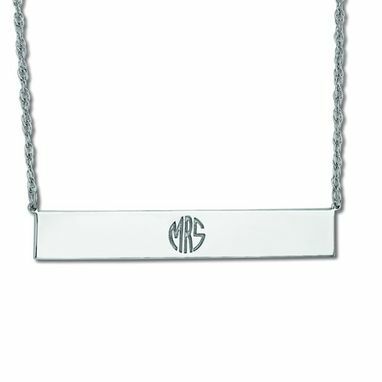 Completely customizable, this monogram bar pendant features up to three letters of your choice engraved into the middle of these ultra-modern necklace. This monogram gold bar necklace gracefully hangs from your choice of a 16 or 18 inch matching cable chain. 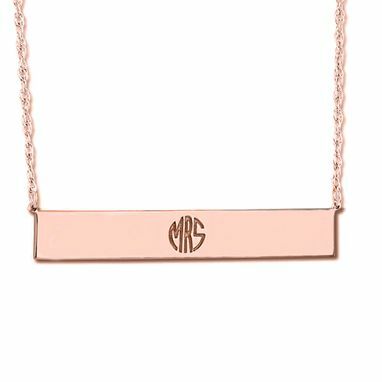 It's the perfect contemporary gift for any woman on your list.